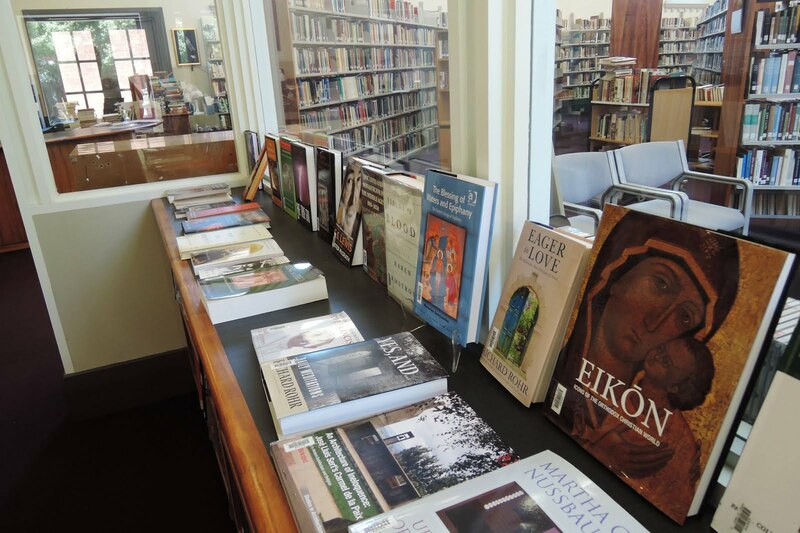 On Tuesday the 15th of May, Angela Gallipoli conducted the monthly Spiritual Reading Group in the Carmelite Library on Christine Valters Paintner. Here is Angela’s introductory paper at that seminar. I first came across the author Christine Valters Paintner while in the Carmelite Library. 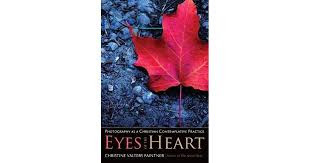 One of her books was prominently displayed on a bookshelf, and I was drawn to it, initially by the dazzling cover, displaying a single, flaming red autumn leaf, and then by its captivating title : Eyes of the Heart: Photography as a Christian Contemplative Practice . The work is about cultivating one’s inner and outer vision, about receiving images rather than taking them, and about discovering the holy in everything. I found it a most enriching and inspiring book to read, particularly its exploration of the principles of photography as metaphors for the spiritual journey, as well as the many creative and contemplative processes offered to the reader to engage in and explore. The Soul of a Pilgrim: Eight Practices for the Journey Within. As these book titles suggest, Christine’s works deal with spiritual and soul journeying, exploring the spiritual wisdom of monks, mystics and early Christians, and engaging creative spiritual practices as tools for the development and enhancement of one’s spiritual life. Christine Valters Paintner is a Benedictine oblate, writer, poet and expressive artist, and her life and work is very much concerned with integrating the contemplative with the creative. Originally from New York City, she lived in Seattle, Washington, until the spring of 2012, when together with her husband John, she sold up everything and moved overseas, firstly to Austria, her father’s native country, and then on to Galway, on the west coast of Ireland, where she lives out her commitment as a monk in the world. Christine has a Bachelor degree in Philosophy, and a Masters degree in Systematic Theology. She completed her Doctorate (PhD) in Christian Spirituality, through the Graduate Theological Union in Berkeley (California). Christine is also a trained Spiritual Director and supervisor, and a registered Expressive Arts Consultant and educator (with the International Expressive Arts Therapy Association). She is a yoga teacher trainer, and a facilitator of the expressive arts practice of Dancing Mindfulness. Together with her husband John, Christine has developed and runs a virtual online monastery called Abbey of the Arts. 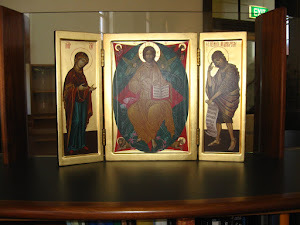 The website portal offers self-study online courses, some of which are companion courses to her books, as well as a range of resources including books, icon images, CDs and DVDs relating to the work of the Abbey. The couple also offer spiritual pilgrimages, visiting monastic sites and sacred landscapes in Europe , including Ireland, Germany and Austria. Over the past decade, Christine Valters Paintner has authored ten books. In addition to the works previously mentioned above, Christine has also written books on the ancient contemplative practice of Lectio Divina, the use of the creative arts in Spiritual Direction, and connecting women to their bodily wisdom and wholeness, through writing, visual art and movement. 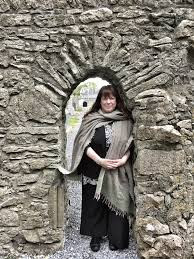 Her most recent book, The Soul’s Slow Ripening, to be published later in 2018, explores twelve spiritual practices informed by Celtic spirituality and the lives of the Celtic saints. Christine also has a first collection of poetry, titled The Dreaming of Stones, due to be published in 2019. In her writings and works, Christine Valters Paintner draws from numerous traditions and influences, including: Benedictine spirituality, the Desert Fathers and Mothers, Celtic Christian monasticism, the concept of Nature as a revelation of God, and the creative and expressive arts. “I was smitten with her creative breath and outpouring , her love of music, her poetic writing. Christine Valters Paintner’s works deal with the human longing and desire to seek out the sacred and to encounter God in our lives. They invite us to embark on journeys of spiritual and soul pilgrimage, and to embrace the art of contemplative and creative spiritual living, which involves cultivating and nurturing aspects of ourselves through which communication and relationship with the Holy can be fostered. For Christine, the contemplative state is a particular state of heart, and “the heart of the contemplative path” is slowing down, paying attention, and becoming fully present, whether this be to the sacred word, to an image or object, to ourselves or others, or to nature and the world around us. In The Artist’s Rule, she states: “ One fruit of contemplation is that we slowly become more conscious of everything as a sacred vessel : each person and object, each moment in time is a dwelling place for the Holy Presence”. (p. 38). And in Lectio Divina, she states : “ While contemplation is fundamentally a posture of being and resting into God’s presence, if we commit to regular practice, it will inevitably infuse our doing in the world.”. Spiritual and monastic practices (such as cultivating silence, creating sacred spaces and rhythms, praying Lectio Divina) are presented, in Christine’s works, as the means by which we deepen our encounter with the sacred. Further practices, (such as obedience, stability, and beginning again) assist us to stay on the path, and help us to get back on course, in the face of challenges, difficulties and resistances faced on our spiritual journeys. In the process of our spiritual practices, both we, and our lives are transformed. We develop new ways of being, seeing, hearing, relating and expressing ourselves, in our lives, and in the world. We become more open, receptive and present in a heart-centred way, both to ourselves and to God. The creative and expressive arts, (such as poetry, writing, photography, mandala drawing, collage, body movement and dance, chanting and toning), are presented as processes by which we can enter contemplative states of being and consciousness. They help us to become present to, and be able to express our experiences, in the moment, as they unfold within us. They are “each unique languages of the soul”, which can take us on journeys of exploration, discovery, revelation and prayer, and truth-telling, when they issue from the heart instead of from the mind or ego. This form of creative expression is concerned with process, not product, and it is most important to notice moments of self-judgement and criticism, and to be able to breathe, stay present, and let them go. In her books, Christine Valters Paintner draws from both her own personal experiences and spiritual journeying, and from the wisdom and insights of the spiritual traditions which she has embraced. She speaks from her heart and shares intimately from her own personal experiences and convictions. Throughout her books, Christine extensively quotes from and references other spiritual writers, both ancient and more recent, which helps to expand the reader’s experience and understanding of the themes and topics being discussed, as well as serving as a useful introduction to those writers. Christine’s books really need to be read “with the heart”, and are meant to be “worked through” rather than simply read through intellectually, in order for the reader to gain the most benefit from the many reflections, suggestions for prayer and creative exercises and meditations that she offers, with the emphasis being on the process, not the product, of any creative endeavour that she suggests. Christine Valters Paintner’s books offer the reader creative ways to deepen their experience of spirituality and the Divine. Her works suggest that to have the experience or encounter of the sacred, one has to engage in the process of relating and communicating, whether this occurs in contemplation, prayer, meditation, physical or creative activity, and that one needs to be centred in one’s “heart-space” during this engagement. Her works can inspire and guide us to change our perspectives, our patterns, our ways of “seeing” and responding to life and what it presents, so that we can have deeper, more meaningful and more sacred experiences of living in every moment.